Smith and Wesson has always been a mainstay in the police sidearm market. Smith and Wesson’s latest pistol series, the Military and Police (M&P), has become wildly popular with officers and citizens alike. To date, more than 330 police departments have issued the M&P pistol as the standard handgun in 9mm, .40 S&W, or .45 ACP. The newest department to adopt the M&P is the Worcester, MA Police Department. Smith & Wesson announced that it has shipped an order for 500 of the company’s M&P45 pistols to the Worcester, Massachusetts Police Department (PD). The M&P45 will be issued to each officer in the department to replace non-Smith & Wesson pistols that previously served as Worcester PD’s primary duty firearm. Officials at the Worcester PD indicated that they selected the M&P45 because of its unique design features, modularity and reliability during testing. After a standard testing and evaluation period, Worcester PD officials noted the accuracy of the M&P45 pistol and the ability of each officer to select the grip size of his or her preference. In addition to these local law enforcement agencies, the M&P pistol has been previously selected as a primary duty firearm in the Waterbury, Connecticut Police Department along with the Hartford, Connecticut Police Department. Of course, the M&P popularity and adoption have not stopped there. Since I started this article, there have been additional announcements of agencies selecting the pistols for duty status. 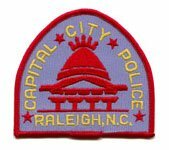 The Raleigh (NC) Police Department upgraded their officers to the Smith and Wesson M&P45 pistols, and are adding the M&P15 rifles for their patrol officers. 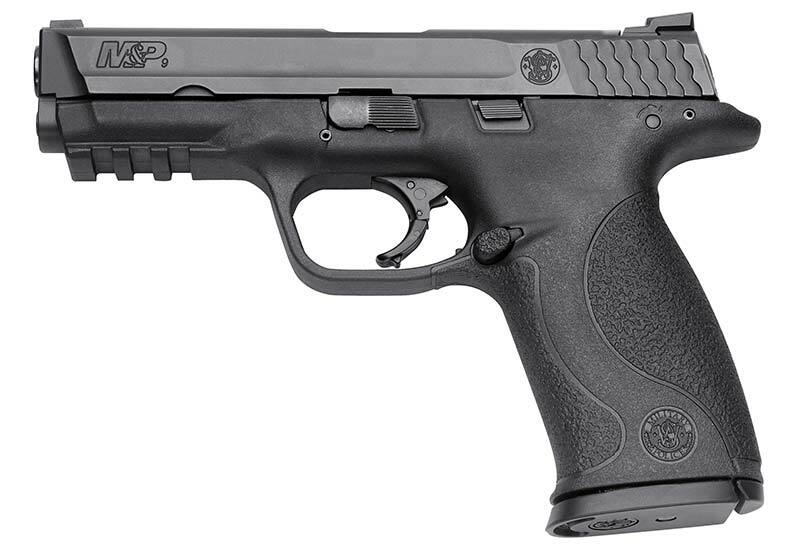 S&W announced that RPD upgraded to the M&P45 from a prior generation of Smith and Wesson pistol. The M&P45 is chambered in .45 ACP, and according to Smith and Wesson, it was selected because of its ambidextrous controls and interchangable palm swell grips so the guns can be fit to all officers. More than 900 pistols were purchased. The M&P15, Smith and Wesson’s AR-15 rifle, was selected over other manufacturers. The intial purchase was for 60 rifles, with a follow-up order of 340 at the start of Raleigh’s next fiscal year. Also, this week S&W announced that Milwaukee PD is switching to the M&P40 also. Like Detroit, Milwaukee is converting from a non-S&W handgun to the M&P40. Smith has delivered the first batch of pistols to Milwaukee, which have been issued, and more shipments will follow as Milwaukee converts its entire force of 2,000 officers to the M&P40. The Detroit Police Department has adopted the Smith and Wesson M&P40 pistol as their official sidearm, and the M&P15 as their AR-15. The adoption is a significant gain for S&W as the Detroit PD is a new customer, moving away from another brand of sidearm. The initial order is for 5,000 pistols and 350 rifles. Three additional agencies have made the switch to the pistols: Miami Beach PD, Passaic Co. (NJ) Sheriff’s Office and the Olympia (WA) PD. It is my understanding that Miami Beach has been carrying SIG SAUER duty pistols until now. MBPD will be carrying the M&P 40. The Passaic County SO is replacing their Glock 23 pistols in .40 S&W with the M&P 45. I don’t know what the Olympia PD officers were carrying, but they are transitioning to the M&P 45 also. Say what you want to about the “dark years” at Smith & Wesson, they are definitely back in the game and playing to win. Also, Smith & Wesson isn’t giving the guns away just to grab a larger portion of the market. Note – Since this article was published, the company introduced the wildly popular line of Shield pistols. Make sure you read my review of the Smith & Wesson M&P9 Shield by clicking here.